As Apple gears up to shutter its MobileMe service next month, the company has extended its offer of an additional 20GB of free storage in iCloud until September 30, 2012. Apple offered MobileMe subscribers the additional iCloud storage last year in an effort to convince customers to switch over from the sunset service. Users also received a free subscription to MobileMe until June 30, 2012, the service's last day. Mac Otakara noted on Sunday that Apple had extended the additional storage from its original June 30 expiration to Sept. 30. A Frequently Asked Questions page on Apple's website was recently updated to reflect the extension. "MobileMe members with 20GB of purchased storage receive a complimentary iCloud storage upgrade of 20GB, and accounts with additional purchased storage (40GB to 60GB) receive a complimentary upgrade of 50GB after moving to iCloud. These free upgrades are good through September 30th, 2012," the site read. 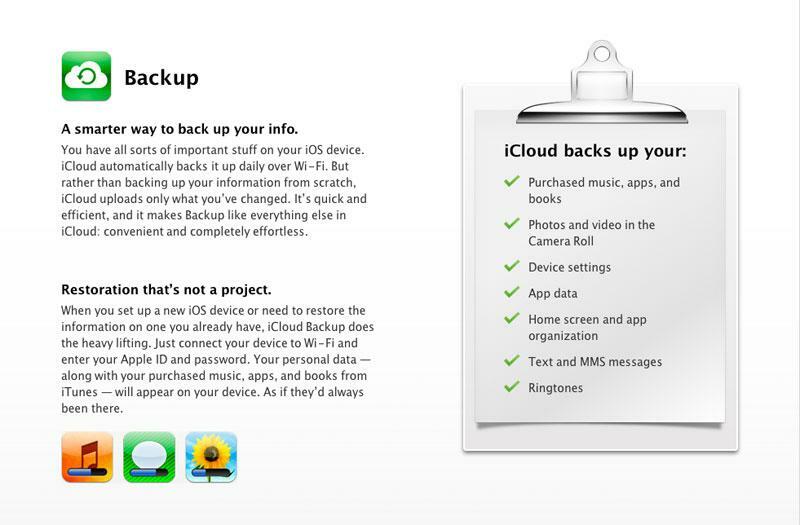 After September, former MobileMe customers can either pay to keep the storage or downgrade to the free 5GB iCloud plan. Though it's not exactly clear when Apple revealed the extension, a cache of the FAQ page by Google from April 30 does not include the above paragraph. Last month, it was discovered that Apple had begun offering free copies of OS X Snow Leopard to MobileMe users still on OS X Leopard. Subscribers could then pay for an upgrade to OS X Lion themselves in order to make the move to iCloud. Late Apple co-founder Steve Jobs took the wraps off iCloud last June and promised that it would be a step up from MobileMe, which he said was not Apple's "finest hour." Since the company launched iCloud last fall, it has attracted more than 125 million users. We just really wanted to increase the customer delight," he said.